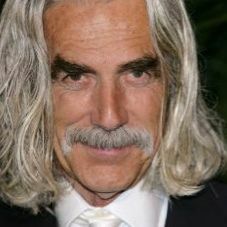 Mustachioed hero Sam Elliott (The Big Lebowski, Tombstone) is joining Heidi Klum and Henry Winkler in Parks and Recreation’s season six cameo department. According to TVLine, Elliott will play Ron Swanson’s Eagleton doppelganger, which can only go one way, and that way is amazing. Also promising: Kristen Bell will play the Eagleton version of Leslie Knope, only “richer and better dressed.” Parks and Rec’s Sept. 20 premiere is almost two full months away, so take your time nominating virtually any star you’d like to appear.